Staff at Pakenham’s O’Brien Real Estate have joined the fierce fight against motor neuron disease (MND), inspired by the heart-breaking ordeal of a company director. 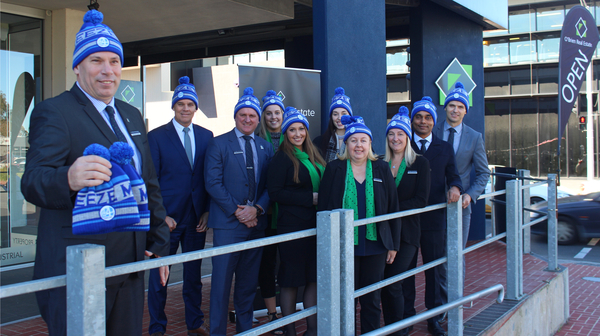 The tight-knit team have ordered more than a dozen “Big Freeze 4” beanies to raise awareness for the cause. While the headwear will keep their scalps warm during chilly weekend inspection mornings, their campaign has a more sentimental purpose. It comes two years after corporate director Stavros Ambatzidis lost his beloved father, Nick, to the illness. For Pakenham property consultant Brendan Langley, it was the least he could do to support those in need. “I’ve been involved for a number of years because I think it’s a great cause,” he said. “Usually I’d do it myself but as soon as I mentioned it to the staff, they were all on board to get a beanie and help out. “They were extremely enthusiastic and supportive of the idea. 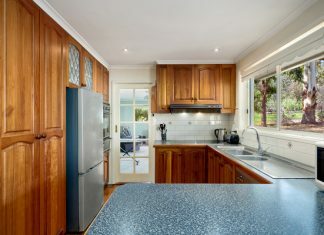 Every day in Australia, two people are diagnosed with MND and an additional two die from it. The condition – neurological and terminal in nature – deprives patients of their ability to walk, to hold a cup or shower unaided. It can cost as much $70,000 to buy the equipment a sufferer needs to fight the disease. MND Victoria helps by lending that equipment, free-of-charge. O’Brien Pakenham director Rob Capuano said the MND initiative coincides with the efforts of the recently launched O’Brien Foundation. “It’s a good cause that everyone can get behind and it means a lot to the company,” he said. The disease garnered significant publicity in recent years, with the shock diagnosis of AFL legend Neale Daniher – who has since become a campaigner for the cause. Pakenham’s O’Brien office have ordered an excess of ‘Big Freeze’ beanies and welcome anybody interested in buying one to call 5940 4044 or visit reception.